Keep your equipment protected and in one handy spot. Shelf stores helmet, neck brace, gloves and crew ear protectors. 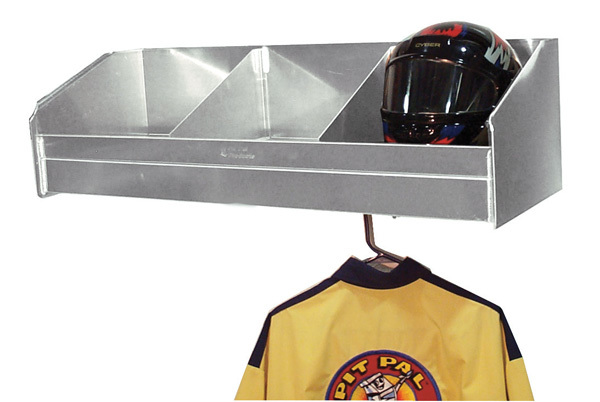 Pit Pal products are Made in the USA and designed by skilled fabricators with quality, affordability, and convenience in mind.